Mariano Brothers owns and operates hydraulic cranes from 8-ton to 40-ton and 182 feet of boom length. Our rigging company has an extensive resource network throughout the Northeast that can provide cranes from 15-ton to 500-ton capacities. Mariano Brothers is a single-source provider to handle high, heavy and complex projects. We offer innovative solutions to handle anything from the simplest to the most complex projects. For decades, we've been the trusted rigging company for Danbury, New Haven, Norwalk, Stamford, CT; Westchester County, NY, and the surrounding areas. When you combined our experienced professional crane operators with our expert riggers, you can rest assured knowing you have a safe working environment for all types of modular hoisting. Our mobile hydraulic crane service is available for a wide range of applications including HVAC, electrical equipment, trusses, steel, construction and all types of modular hoistings. 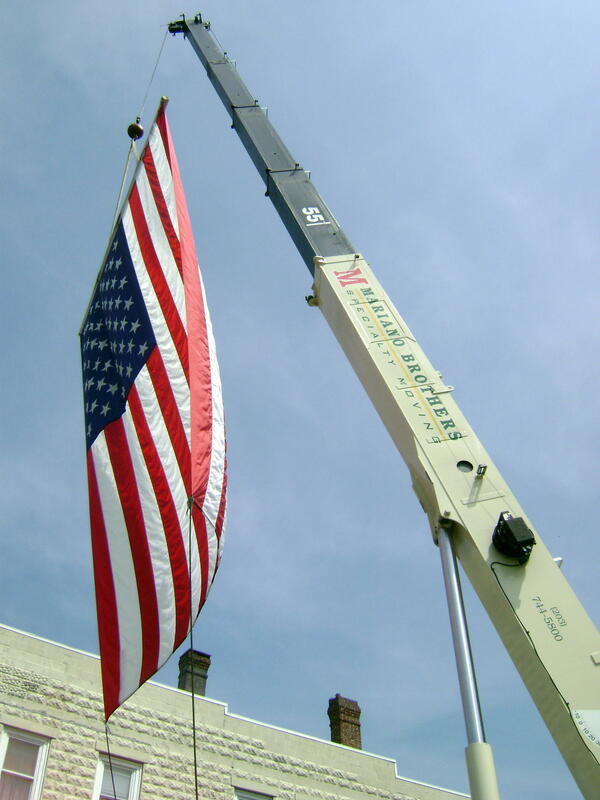 To learn more about our crane services, please contact our rigging company today!